Discover a better way to plan, buy & build your next hardscape project using your iPhone, iPad or Android device. 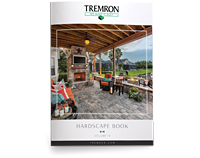 Use the Tremron Hardscape Mobile App to browse brochures, view our product collections, browse our photo gallery of completed projects, watch instructional videos, and locate showrooms and design centers. 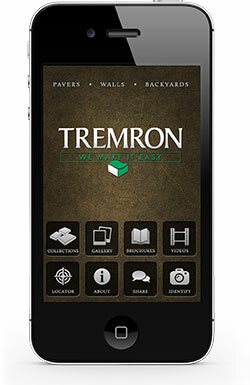 Whether you are a hardscape professional or a homeowner looking for project inspiration, we think you will find our new hardscape mobile app to be a useful tool for learning about what Tremron has to offer.